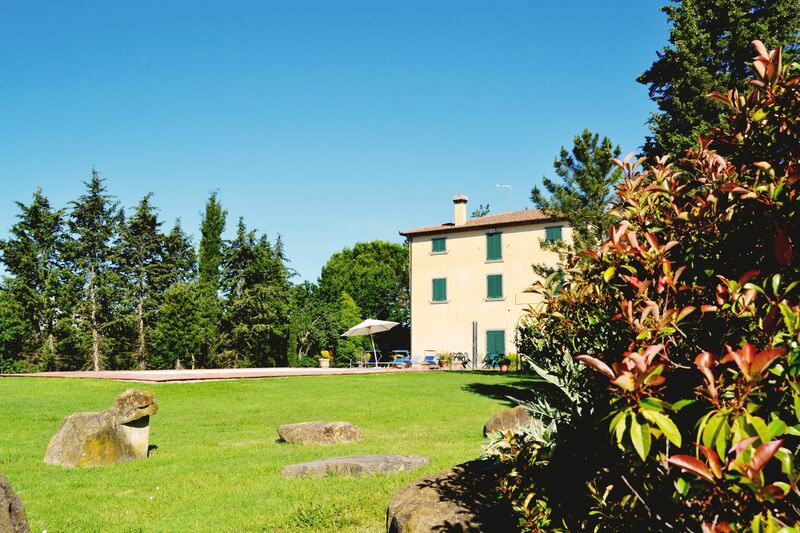 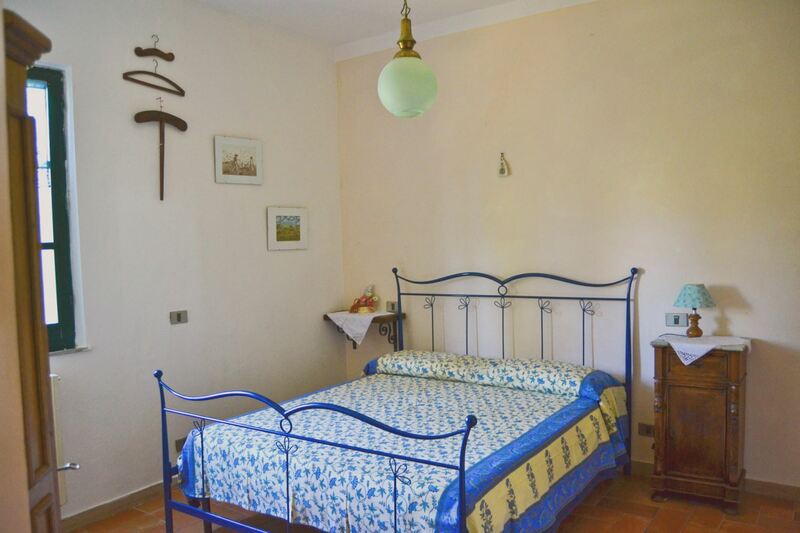 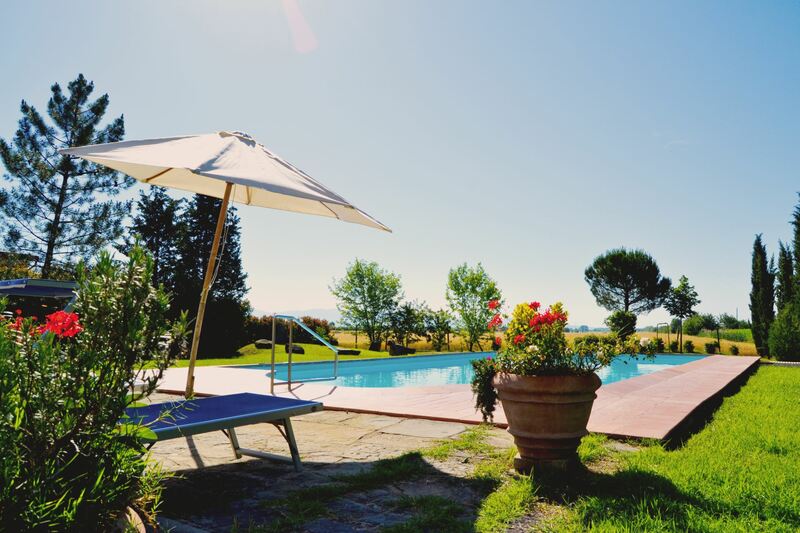 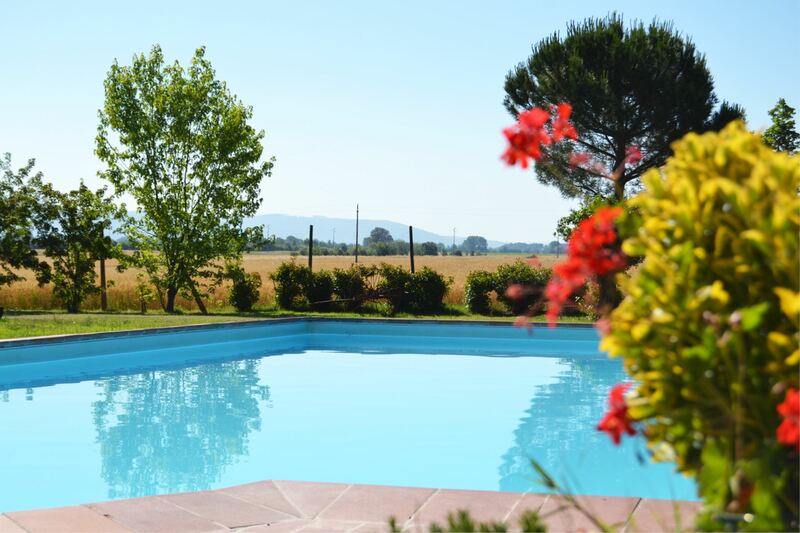 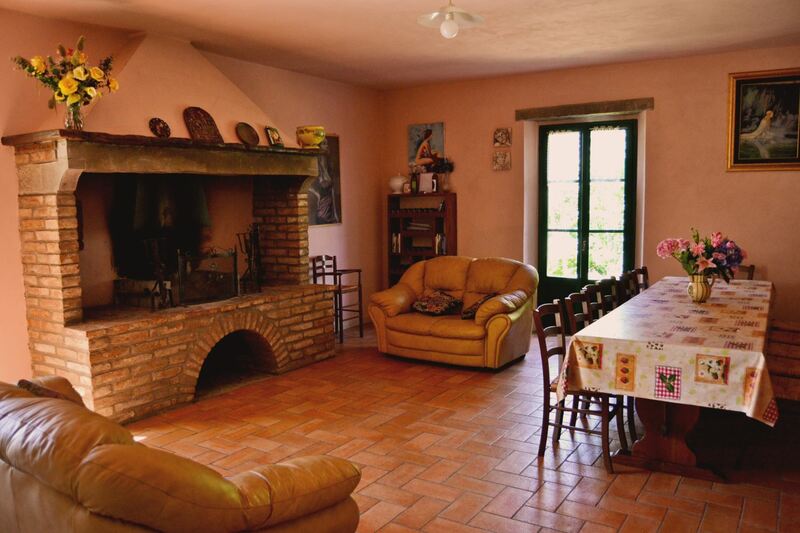 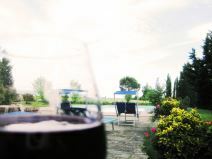 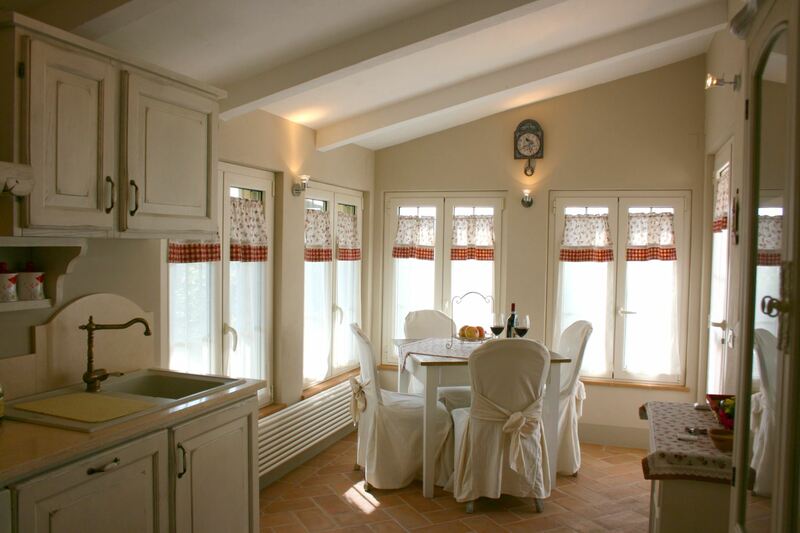 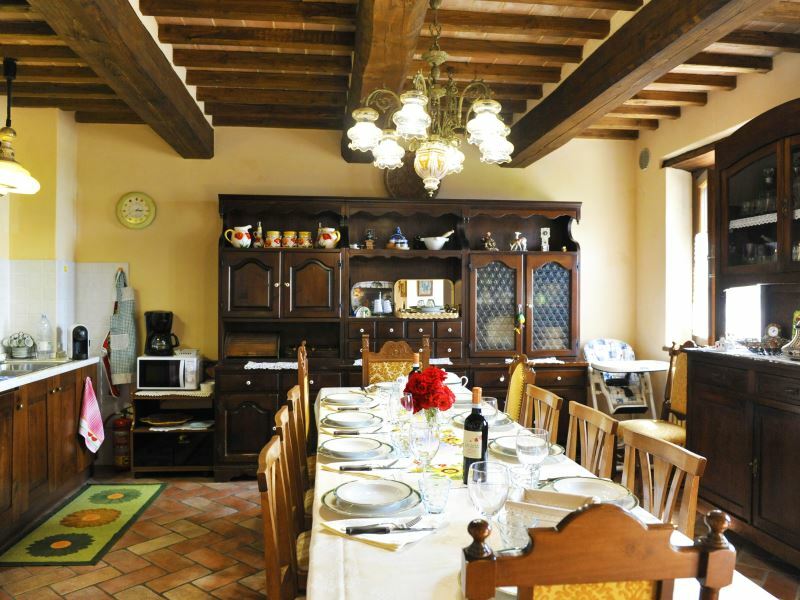 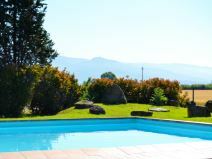 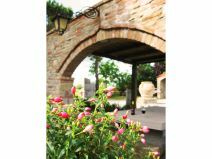 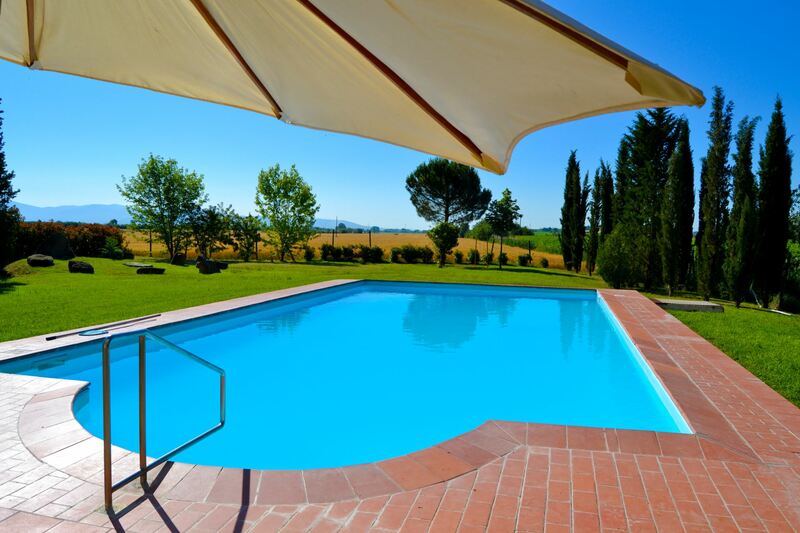 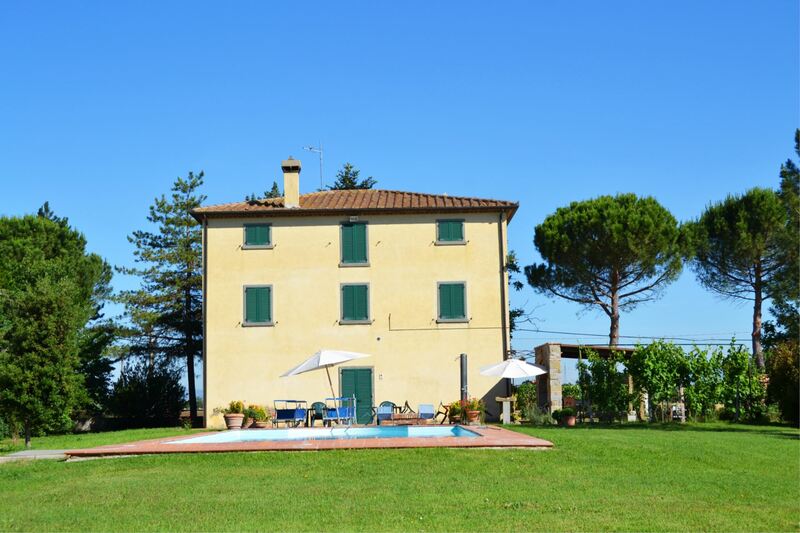 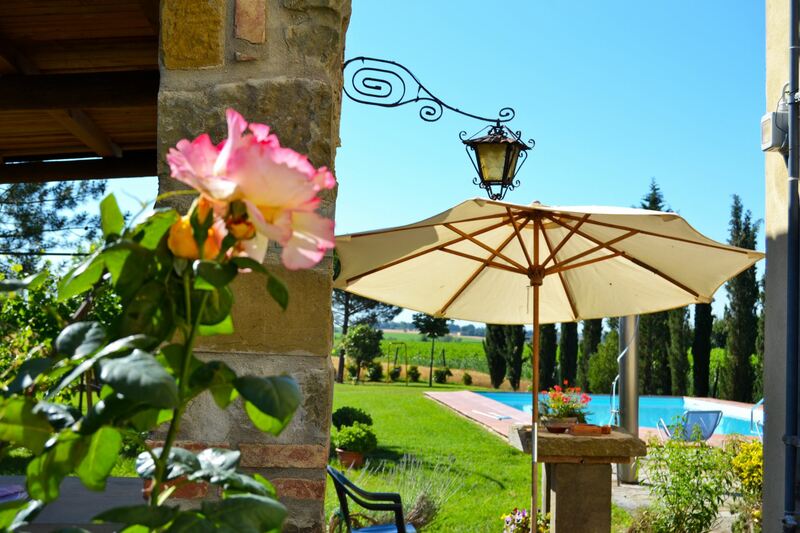 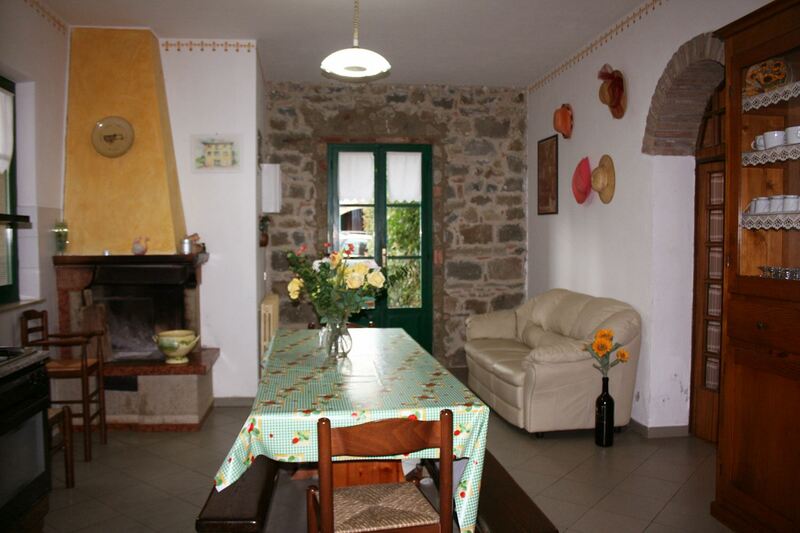 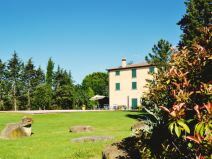 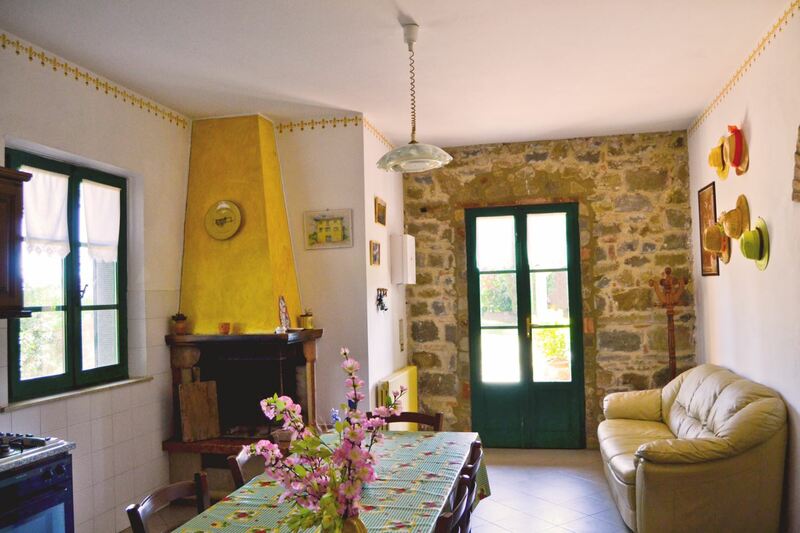 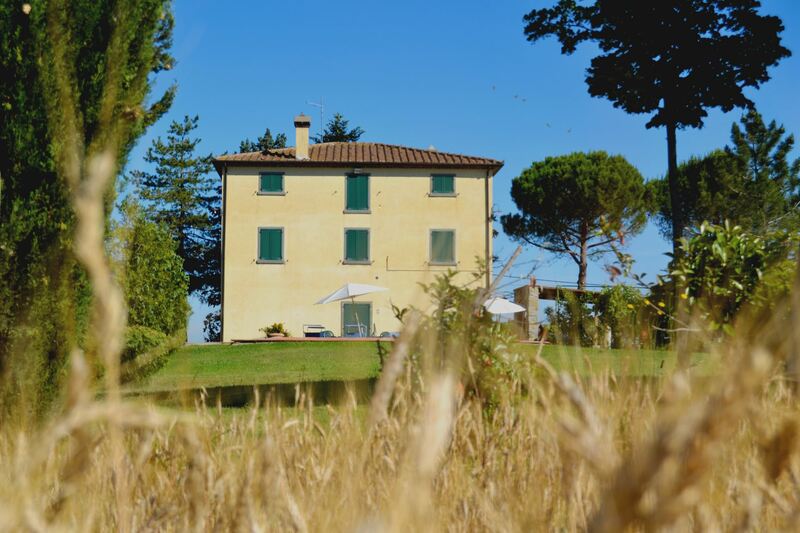 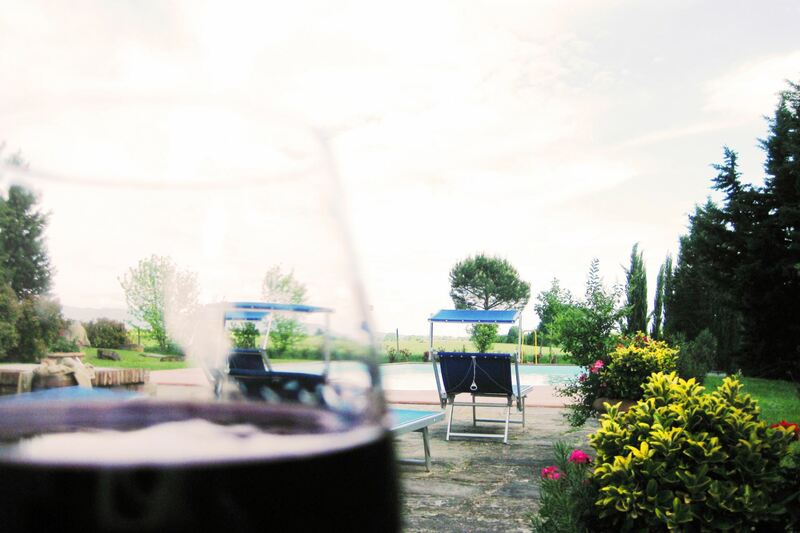 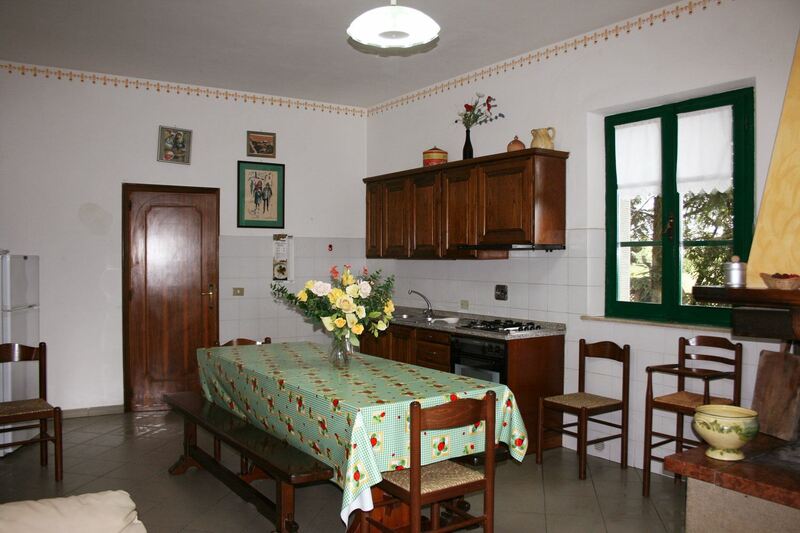 Ancient manor house for 12 persons, located near the Etruscan city of Cortona with garden and private pool. 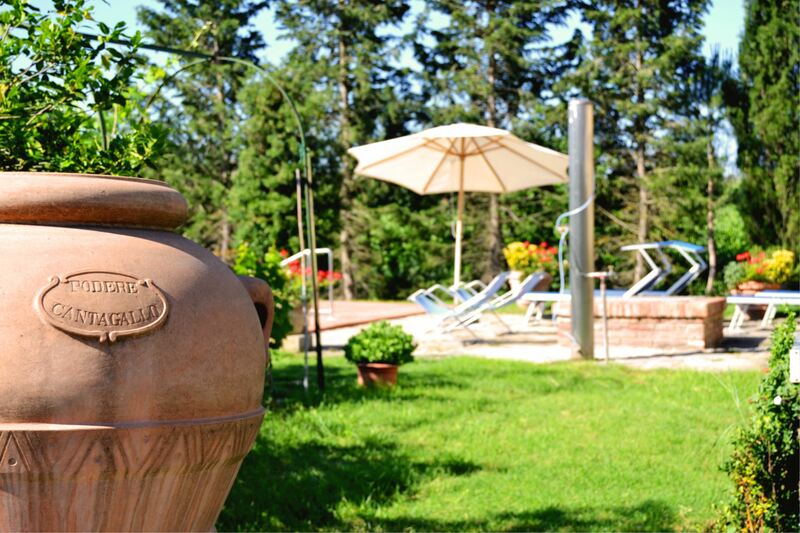 Pets are welcome, Wi-Fi access and barbecue available. 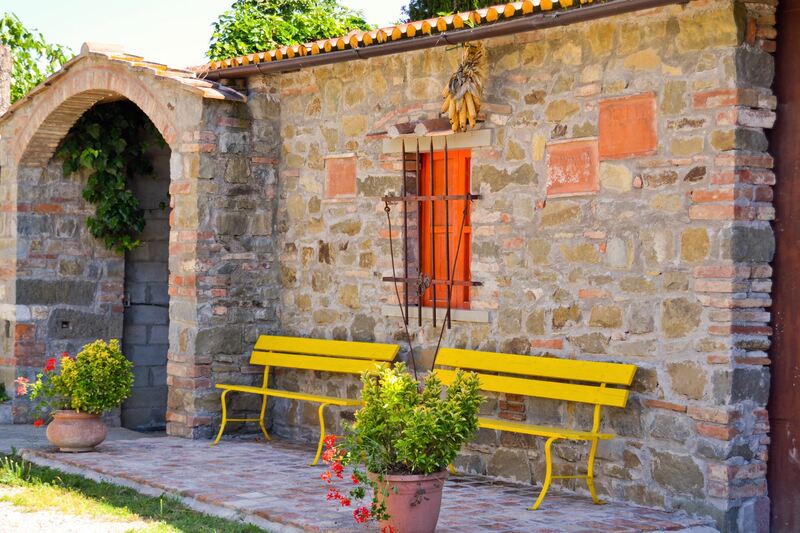 Old manor house in the neighborhood of Cortona. 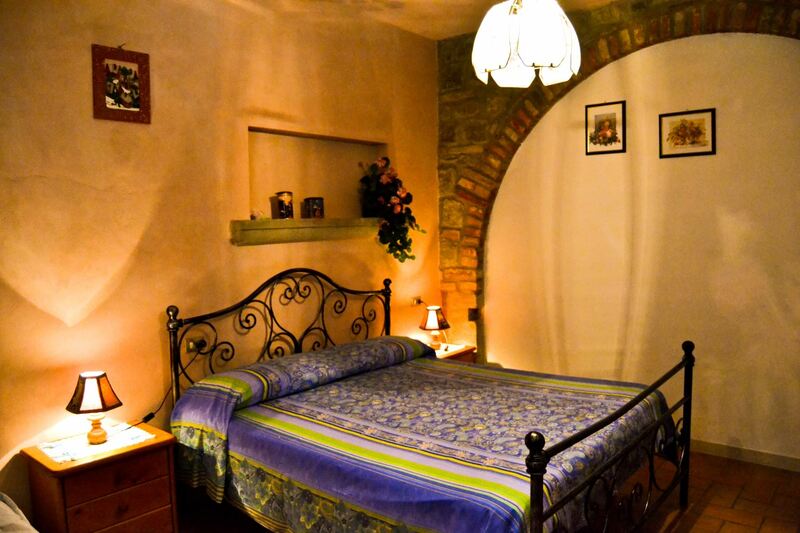 Old estate owner's house close the charming, artistic, town of Cortona,(8 km) a historic and architectural jewel which is certainly worth a visit. 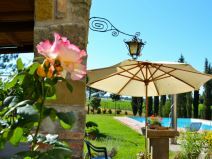 The cellar and the 'DOC Cortona' wine. 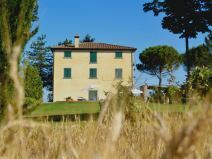 Until a few years ago the house was the heart of a large farm, however, recent restoration has transformed it into a charming holiday villa. 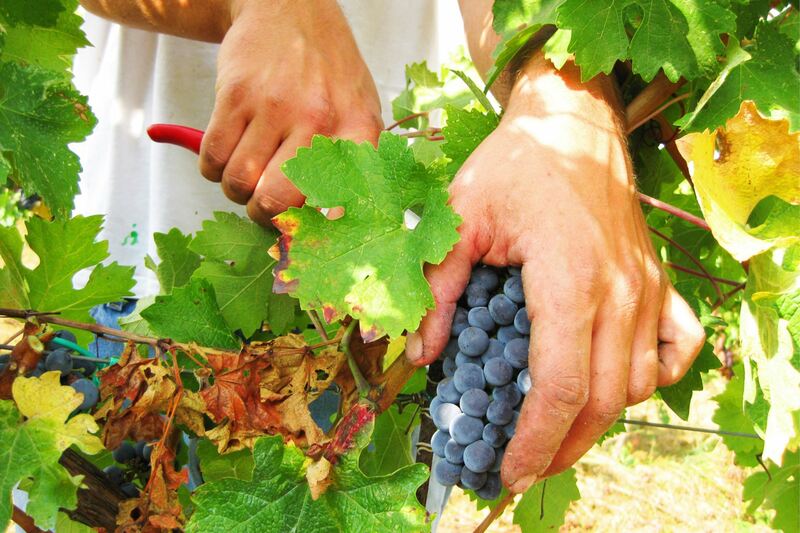 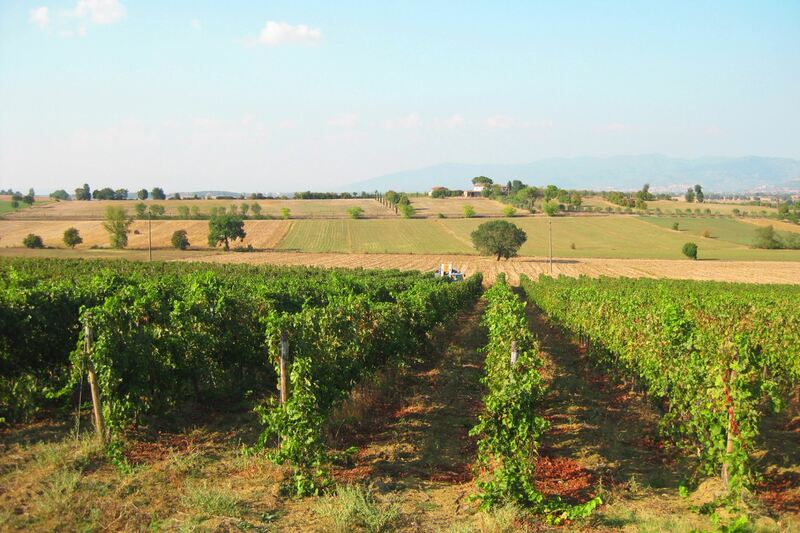 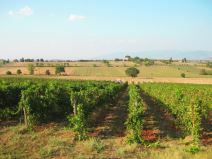 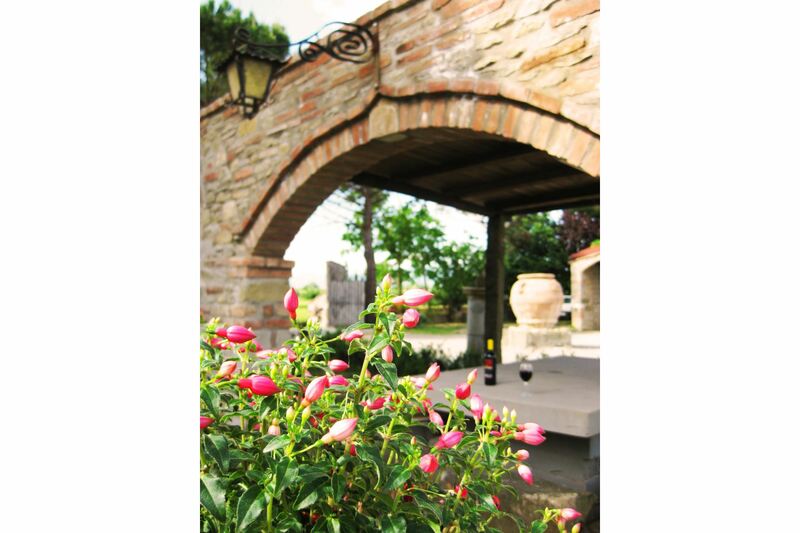 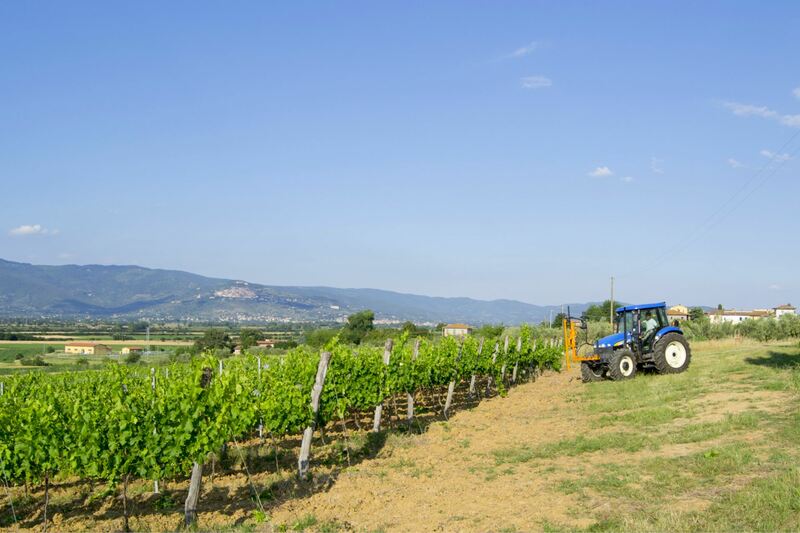 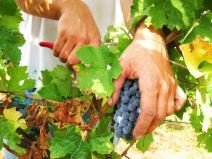 Nowadays close to the house it's possible to see the cellar where the owner produce a very good quality wine (DOC Cortona), which it will be possible to taste for free during your holidays. 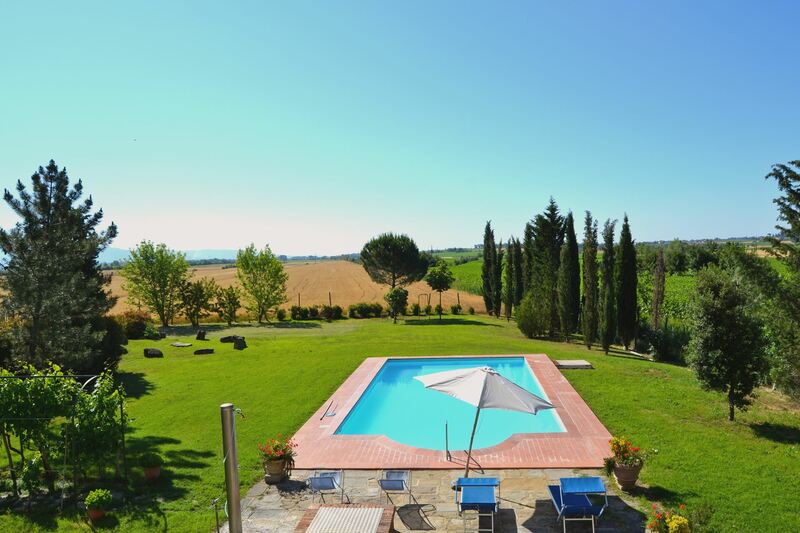 Wide green space at disposal and swimming pool. 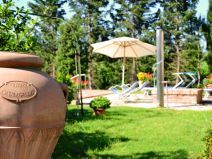 All around the villa a wide garden equipped with gazebo table and chairs ideal to eat outside, playground for children, shaded car spot, at the back side of the house there is a nice swimming pool (size 6x12 m. - depth 1,20-1,40m) for the exclusive guest's use. 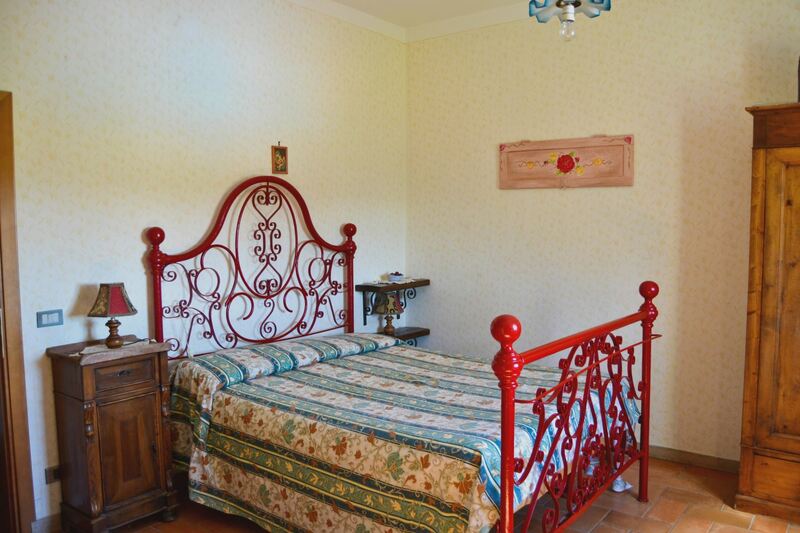 The furnishings are comfortable and have been carefully chosen. 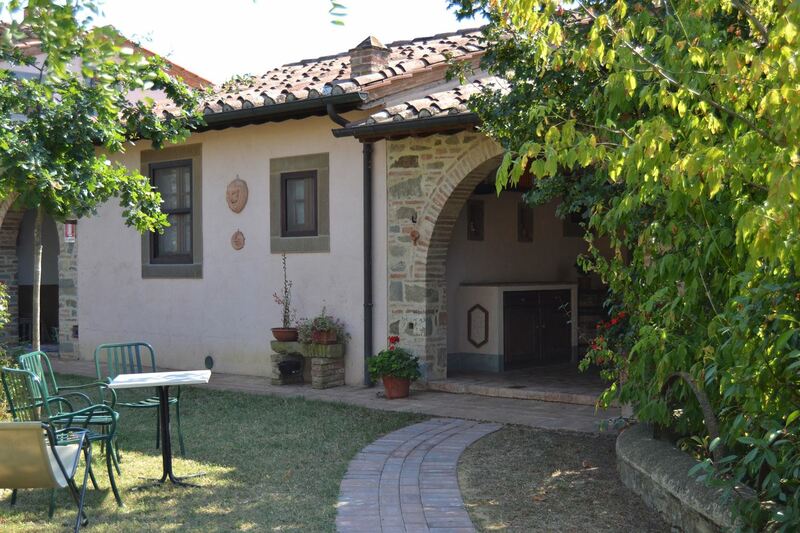 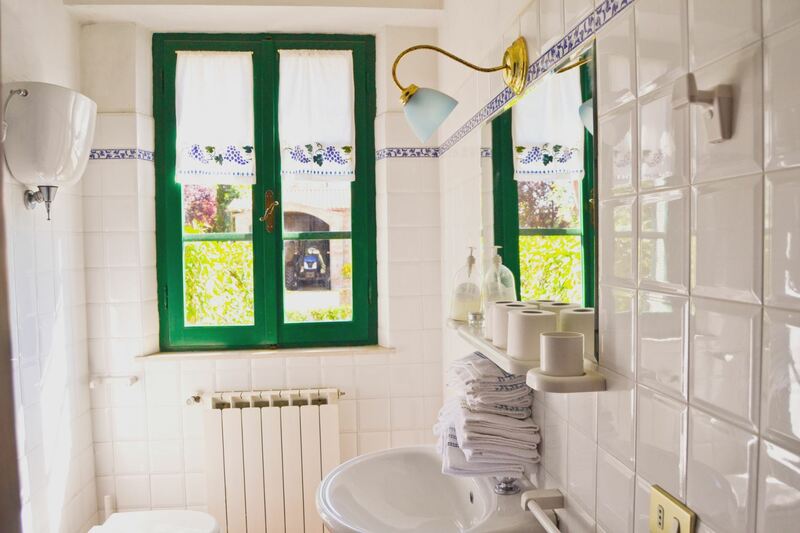 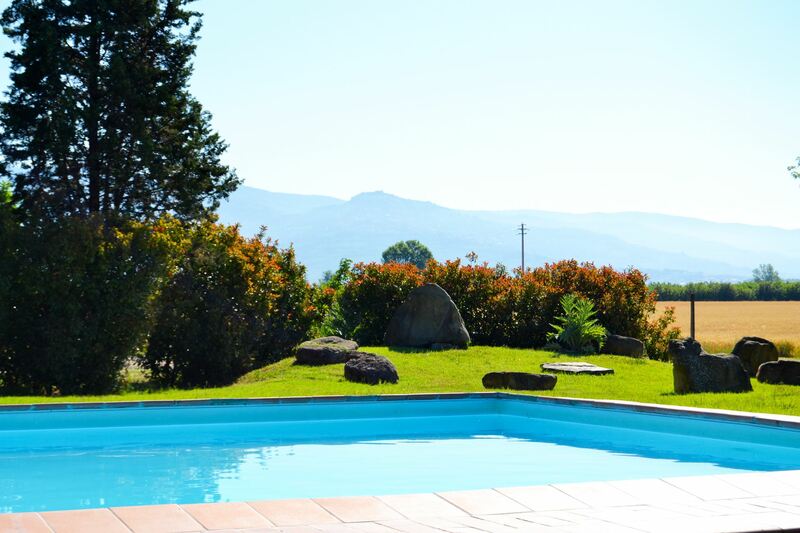 GROUND FLOOR: Kitchen with fireplace, large living/dining room with fireplace, armchairs and sofas, looking onto the swimming pool, double bedroom with an extra single bed, bathroom with shower. 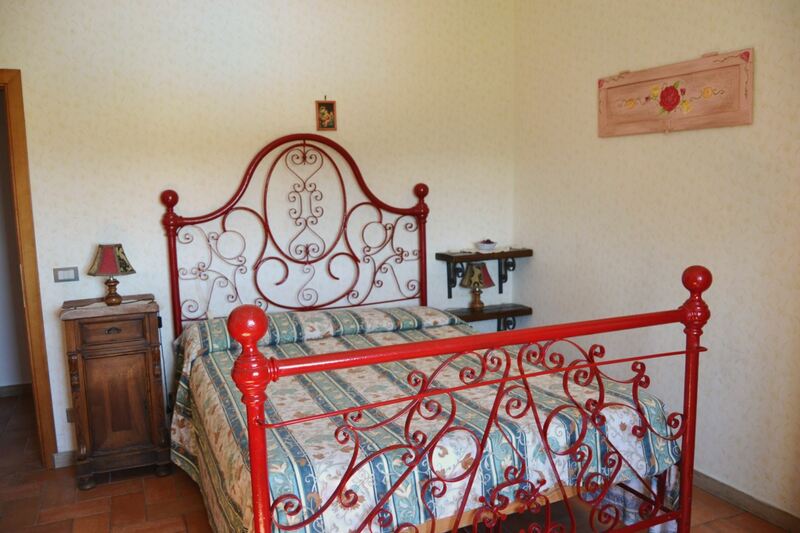 FIRST FLOOR: with access via an internal staircase, there are four double bedrooms and two bathrooms with shower. 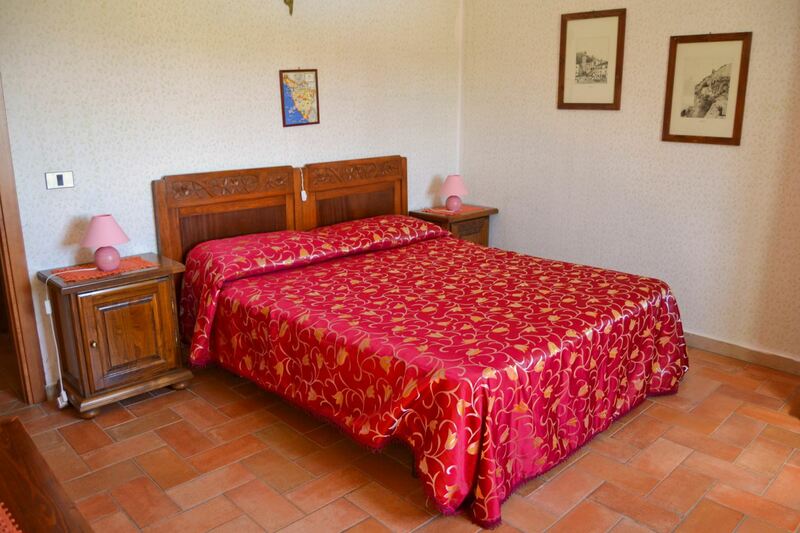 It is possible to add another single bed to one of the bedrooms. 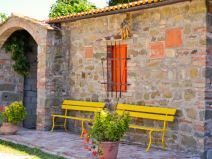 EQUIPMENT: washing machine, dish-washer, TV, high chair, barbecue, oven, freezer, Italian coffee maker, filter coffee maker, toaster, Wi-Fi Internet access. 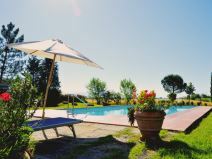 Private pool open from 06/04 to 05/10. 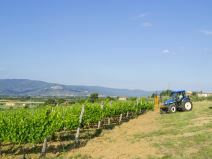 Heating Euro 1,50 per liter (if used). 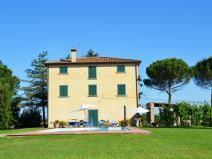 The villa was just perfect for our group of 12 including 4 kids. 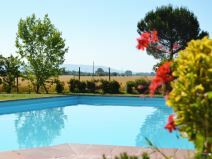 The grounds and surrounding was just beautiful from enjoying barbeque outdoors to splashing in the pool and having walks amidst the sunflower fields. 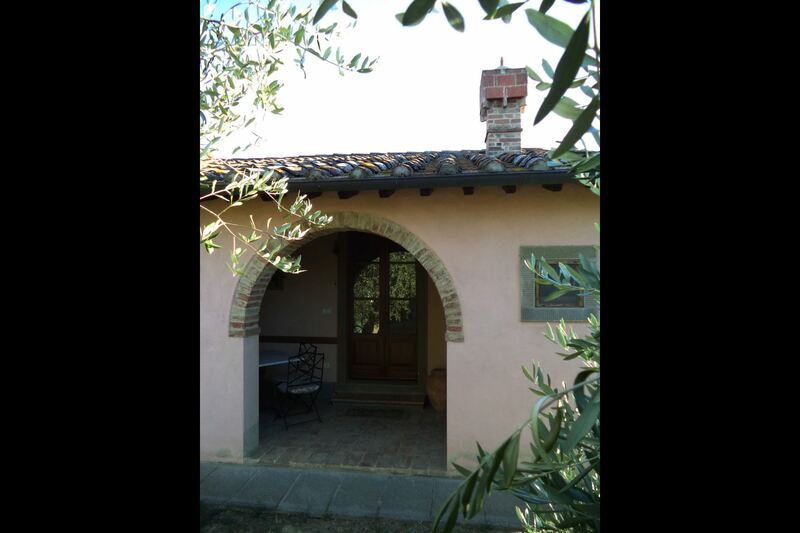 The owners were helpful and kind and we couldn't have asked for a better accommodation for this holiday.